From the last decade, the coffee industry has experienced a significant boost in India. Not only among the youngsters but also amidst the elder generation, it has gained huge amount of popularity. 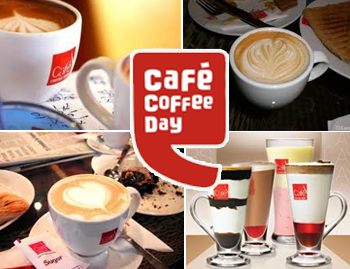 So the café industry has emerged out to be one of the most promising industries in India. There is a great competition for the new ventures owing to the established firms in this work. It has become a household name in the coffee industry. Dunkin’ donuts is one of the largest and trustable company that offers franchise all over the country. It has a good repo among the public and hence a perfect option for you to start a business from scratch and become a well established name in this industry. Moreover the combo franchise option offered by it is also quite amusing and beneficial. Owned by Amalgamated Bean Coffee Trading Company Ltd., this venture has a large chain of coffee shops and franchise retails. They offer franchise at nominal investment of Rs. 2 to 4 Lakh and an area of about 15 to 250 sq. feet. It is one of the best options for you if you are looking for a renowned franchise. Established in the year 2006, café spill has become a self sufficient company that offers franchise to other amateurs in this industry. They own many coffee shops and franchise outlets all round the country. However, it requires an investment of around Rs 6 to Rs 8 lakh with a minimum floor area of 500 sq feet. But all this investment is worth the benefits obtained by this company. La café has been providing its franchise since the year 2008 just after two years of its establishment all owing to its trust worthy and excellent customer service. Its shop chain consists of about 40 shops along with about 30 franchise outlets all over India. For getting the franchise of La café you need a capital investment of up to 10 – 15 lakh and a work place of about 400 sq feet. But you need not worry about the huge investment as they assure to return an amount of 3 to 6 lakh if you continue with them for 2 years. This is one of the companies that have offered franchise from the very year of its establishment that is 2005. However the investments required is large and of about Rs 15 to 20 lakh but its name is worth it. One can avail the franchise for tenure of 5 years and then get it renewed afterwards according to your willingness. The floor area that you would require is about 600 sq feet. If you have low starting investment but wish to build a strong coffee business empire then this is the best franchise opportunity for you. Also the operating area for your shop can be as small as a food van. All you need is to attain its license through online application and start your business. It is an inexpensive yet a fair investment option. Netwafers is another company that has been offering its franchise since the year 2014, the year it was established in. It offers you franchise at nominal investment of Rs 2 lakh and at a minimum floor area of just 100 sq feet. It is yet another option for low investment high outcome businesses. The franchise can be availed for a period of 5 years and can later be renewed. This company is 140 years old but charges only a low amount of 1 lakh for offering its franchise. But they provide you franchise for a floor area of about 1500 sq feet after all the verifications done. With an experience of 20 years in this field, this company offers its franchise at low rate investment of just Rs 50000. They have earlier helped many small scale businessmen and you can also avail this amazing opportunity. This is exclusively for the ones who have firm determination to be successful but lack capita and guidance. They offer franchise at low investment of about Rs 50000 and also ensure support of every kind to you like the training and a trained personnel for proper guidance in this new field for you. If you are looking for a coffee franchise business then it is better to take franchise of companies who deals with Cafe. There are various reasons why you should take Cafe Franchise as your business opportunity. The coffee industry has grown in the recent years and it would be great to be a part of the business. It is difficult to start from scratch so it is better to be a part of this industry by taking a franchise. It is always great to do a franchise business. There are many reasons for that. Like you know from before which business is successful and take franchise of that particular company, you will be able to earn high profit as compared to conventional business, in respect to food and beverage business like coffee, the industry is ever growing and you can take advantage of that. If you intend to take cafe or coffee franchise. Let us see some of the companies that offer franchise. This company offers franchise and you can apply to have it. After certain scrutiny they offer you the franchise license. The offer training and the products that you should use in your store. The initial investment is 1.25 Crore. Though the initial invest is big but you will be profitable if you can have their franchise. This is another opportunity for you to have a franchise. This company also provides franchise license and do the training to make you fit to run the store. The initial capital investment is 60 Lacs to 80 lacs. The space required is 1600 to 3000 square feet. This cafeteria company gives franchise and it is very profitable to have this. The ROI is great and you will not regret taking this franchise. The initial investment is 25 lacs to 35 lacs. There is requirement of space that you must provide. This is owned by Radiant Consumer Appliances. They are looking forward to give franchise and you will love to be a part of this company. The initial investment is quite low, it is 2 lacs to 3 lacs and the space required is only 200 square feet. Devils Workshop is owned by Rasna Pvt. Ltd and gives franchise if they find you suitable. You can apply online and they decide after certain scrutiny whether they will offer the franchise. The initial investment is 5 lakhs and the space required is 2000 square feet. This is owned by i Team Advisors Echelon Pvt. Ltd. They provide franchise to suitable companies and as always provide training and products. The investment is Rs. 15 Lacs and the required space is 500 to 1000 square feet. You can very well take this franchise and prosper. They offer training, products and trained personnel if required along with the franchise license. The initial investment that has to be made is Rs. 10 Lacs to Rs. 20 lacs. The space required to set up the store is 300 to 1500 square feet. Owned by Amalgamated Bean Coffee Trading Co. Ltd. Is always prepared to provide franchise if certain pew qualifications are meet. The initial investment is Rs. 2 lacs to Rs. 5 Lacs. The space required to set up the store is 160 to 250 square feet. Brew berrys Hospitality Pvt. Ltd. owns this and is always ready to provide franchise. They also perform some scrutiny and offer the franchise license. The initial investment is Rs. 10 Lacs and the space requirement is 400 to 1500 square feet. Owned by a company of same name they also provide franchise and offer training and products along with the license. The initial investment is Rs. 1 Crore and space required is 500 square feet. So, we now know about ten companies that are in Cafeteria business who gives franchise. You must try hard to get one of them to prosper. Before you proceed to have the franchise you must make yourself prepared to have the franchise. The space that you select would be good if it is in a prime location or to a place where there are many offices. This will increase the foot fall of customers at your shop. Try to have trained personnel to work in your shop. These shops are not ordinary coffee shop but they are reputed so the customer base will also be of class. Your personnel must know the table etiquettes and should know the manner how to behave with a customer. 11) Classic Rock Coffee Co. This is owned by company who is trying to expand in India and is willing to give out franchise. You can also apply and if found suitable you can be given the franchise license. The initial capital investment is Rs. 1 Cr. To Rs. 2 Cr. And the space requirement is 3000 to 4000 square feet. Though the investment is large then also it is profitable to have it. This company is likewise trying to expand itself nationally and internationally. They have already some franchise outlets and are willing to give more. The initial investment is Rs. 5 Lac to Rs. 10 Lac. The space requirement is above 200 square feet. This company is also trying to expand all over the world and you can be a part of that. The initial investment is Rs. 5 Lac to Rs. 10 Lac and the space requirement is 150 to 200 square feet. They will scrutinize your application and then provide you with the franchise license. They are on the lookout of expanding nationally and they will be happy to give you the franchise if you full fill their pre requisite. The initial investment is Rs. 10 Lac to Rs. 20 Lac and the space that you require is 200 to 1050 square feet. 15) Brew Bakes Hospitality Pvt. Ltd. They have also set up their mind to expand nationally and will give you the franchise license along with training and products. The investment is Rs. 5 Lac to Rs. 10 Lac and the space that you will require to set up the store is 100 to 2000 square feet. They have also made up their mind to expand worldwide and will be happy to make you a part of that. You can apply and after certain consideration they will give you the license to open the store. The initial investment is Rs. 1 Cr. To Rs. 2 Cr. The space is up to you and you can select the space in a prime location. This company has taken up endeavors to expand nationally and will happily give you a franchise license. The investment that you require to set up the store is Rs. 2 Lac. To Rs.5 Lac. The space required by you to open a store according to their standard will be 100 to 300 square feet. You can be a part of this company who is trying to open its branches nationally and internationally. They provide franchise if you can make an initial investment of Rs. 50 Lac to Rs. 1 Cr. The space requirement is up to you. The company trying to expand nationally and internationally is giving franchise license to willing companies. The investment that required to be made is Rs. 2 Lac to Rs. 5 Lac. The space requirement depends upon you; it should be in such a place that you get customers to carter. 20) Caffe Bene Co Ltd. They in their endeavor to expand nationally are giving franchise and you can also avail that. The initial investment is Rs. 10 K to Rs. 50 K. The space depends upon you and should be in a prime location. Do you want to earn some more so that you can live a life that is of fun and enjoyment? There may be various ways of earning more. Getting a Starbucks Franchise is one of them. Let us see how we can get a franchise of Starbucks. Let us first know what Starbucks deals with? They generally deal with tea, coffee, food and various other nutritional food and drink items. So, are you interested in owning such a store where you can serve people with those items and earn some money for you? Then continue reading as we find ways to take up such a franchise of Starbucks. The first are foremost thing that have to be done is to buy or hire a shop in a place where there is high traffic and you feel that items like those of Starbucks would sell. After owning the shop you need to apply for the Starbucks license. If they feel that you are capable of running a store of Starbucks they will approve your store and give you the Starbucks license. After they provide you with the license they will provide you with the products and necessary training to you and your staff. There are definitely some initial costs that you have to bear. You have to spend some money to buy or hire a retail space and to get the general food license. You will have to spend some more in hiring staffs that will run the shop. You have to bear in mind that spending of money is required for doing the interior of the shop too. There is definitely a fee attached with it. The fee depends on the location of the store, the service that you want to carter to and the demand of products that you want to sell. Now the question arises what you can sell in a Starbucks franchise store. Starbucks believes in coffee culture, you can sell anything related to coffee in that store. They will provide you training necessary to enhance your knowledge of coffee. The rule is the same if you want to open a Starbucks franchise in India. You have definitely to follow the above steps. You must be very particular about selecting the position of you shop while you purchase or hire. Starbucks will offer the best in coffee that is available worldwide but you need to have customers to have those so that you can run your shop successful and earn some money which is one of the goals that you have. In India they are coming up to start their business in collaboration with Tata Coffee. They will be opening their store along with Tata coffee in the retail outlets of Tata. So, you must try to have a retail store in any place that Tata coffee has retail. You need to have a signed agreement between you and Starbucks so that it is made clear what help they will give and what you have to do to run the business in a successful manner. You must have a clear idea of the policies of them so that you can follow them in totality at your store. People coming to your shop should feel like they are not in a Starbucks shop. Take advice from Franchise managers to help you out in setting up the ambiance of the coffee culture shop. Moreover tell your staff to have the training provided by Starbucks in a serious manner and follow those meticulously while working at the shop. People should never have the feeling that they are not actually in a Starbucks Shop. So, are you ready with all these? Then without wasting any more time apply to Starbucks for the franchise as because if you are late you may lose the chance as there are many like you who want a franchise. India being a country that has a moderate climate is a perfect place to start a Juice Lounge Bar franchise.Apart from the food, people are in love with soft drinks and beverages. This is the reason why some of the juice franchises have made a great place for themselves in the market. Juice Lounge Bar franchise is a suitable franchise business for businessmen in India. You will find everything you need to know about this franchise in the following article. Is Juice Lounge Bar a profitable franchise? Beverages are something that are always in demand hence making it a great option to start a business out of it.Where there is demand, there is supply and hence money. No matter how many cafe of drink stalls mushroom in India the industry will not saturate. Therefore losing business in such a ripe marketing not going to happen. Since people these days are very health conscious and always looking for healthy foods and drinks, a juice bar is all that is required to lure them to make money. They can benefit from quality drinks whereas you can make a lot of money. It gives you a chance to serve them best and make money at the same time. So one thing is for sure that both the sides are benefiting in this deal. Juice Lounge Juice Bar was initially started in the year 2005 and is the first juice bar franchise chain of India. Their brilliant performance in the marked inspired a lot of entrepreneurs to venture in the business and extend the business. The franchise is now growing at an international level, making itself recognized in different countries of the world. Juice Lounge Bar also has franchises in Qatar and Maldives. The franchises is spread in India in more than 40 cities in various malls, railway stations, airports and high streets. In case you own any such location the this is the best franchise option for you. In order to start the Lounge Juice Bar franchise unit in India the initial investment required is near to 8 - 9 lakhs. This is valid only of you are selling juices and mix sandwiches in a wooden kiosk, including the cost required to set up structure and equipment. If you want to install an outdoor kiosk, completely waterproof with aluminum composite panel then you require an additional installment of 11 lakhs. The rest of the investment depends upon the area. It you want to open the juice bar in a mall then you require 7 to 10 lakhs for a 300 square feet area. If you want an area as large as 1000 square feet then the cost might rise up to 15 lakhs. The detailed reference model will be provided to you once you have signed the Franchisee Inquiry Form. Aspirants don’t have to pay any franchise fees for Juice Lounge Juice Bar though a set-up fee is charged regardless of the location you have selected and excluding the cost of the business model that is Rs. 3 Lakhs per unit. It is a 5 year contract and can be renewed if the franchisee wishes to do so. Royalty fees is also applicable which is 7% of the Gross Turnover and with 2% of Gross Turnover for group advertising and promotion that can be paid on a monthly basis. Juice Lounge juice bar franchise provides all its franchisees with the best support system to flourish and expand their business. They assist all aspirants in site selection and store fittings, location research that includes footfall survey and financial projections, complete reference manual, complete entitlement to the use of the brand's logo and trademarks, access to proven marketing techniques, training and support while starting out in the market along with help in providing industry leading equipment. In case the franchisee needs other help regarding the franchise he can refer to Juice Lounge Bar franchise Support Chart. In order to apply for Juice Lounge franchise the only option is to go through the specific form. Application form for Juice Lounge bar franchise is available on the official website from where you can download it:www.juiceloungejuicebar.com/franchisee-enquiry-form.html.You can also get officials to answer your queries via email. Email of Juice Bar franchise is juiceloungejuicebar.com. For those of you who are interested in starting a franchise business for a well flourished brand and not having to invest crazy amount of money then Barista Lavazza Expresso Coffee franchise is by far the best option for you. Get to know all about this franchise by reading the following article. Barista Lavazza Company was founded in the year 2000 and has set a trademark for itself in the past 13 years. It is known for its Italian Coffee globally which is served at its outlet of Expresso bars and Crèmes. Barista Coffee Company Limited has more than 200 Barista Lavazza Espresso Bars and Barista Lavazza Crèmes in around 30 all over India. Barista is a brand of Italian Company Lavazza which is known for being the 6th largest coffee roaster in the world and occupies 46.5% Italian retail market share in the World. Coffee chains in India are flourishing with time as the taste of the citizens is changing and demand is increasing. The return on Investment is quite good and it is an extremely profitable business if you start this business in a big market, mall or highly commercial area. Also you will have the benefit of being associated with a globally recognized Company. The total investment required to start Barista Lavazza coffee bar franchise in India will be declared by the Company itself. According to some estimates the franchise cost will be somewhere around 50 lakhs which is the same costs as it is for franchise of its peers. There is also a minimum land requirement for starting Barista Lavazza franchise which is around 1000 square feet. The agreement of this franchise is signed for a period of 6 years which can be further renewed if the franchisee so desires. The expected Return of investment (ROI) is about 20% and break even period will range from 4 to 5 years since the investment is not too high or too low, the break even period might differ from 5 to 7 years and might also be reduced if focused and consistent marketing is done. It will also depend on the location of the Expresso bar and is expected to be more in commercial and office areas. You can get to all about the franchise details by getting in touch with the Company personnel and discuss all your business ideas. 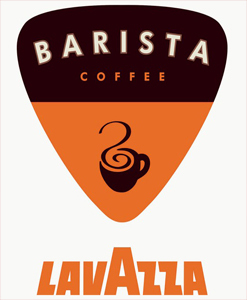 You can choose an appropriate area for starting this franchise by checking out the complete list of Barista Lavazza outlet which is available on their official website http://www.barista.co.in/users/storelocator.aspx. If you have any doubts regarding the Barista Lavazza coffee bar you can contact the corporate office located in Delhi. The contact person will listen to all your queries and answer all your questions. The address details and contact number are given below. Cafe Mocha is a well known coffee house in India which has a lot of scope for business expansion and has a lot of opportunities for those who like investing in the food industry. You can get all the details regarding the investments, application process, land requirements and contact details in easily by reading this article. The very first Cafe Mocha was opened in Churchgate Mumbai in December 2001 and since then the name and fame of this cafe has spread all over India making huge business and great profits as time went. 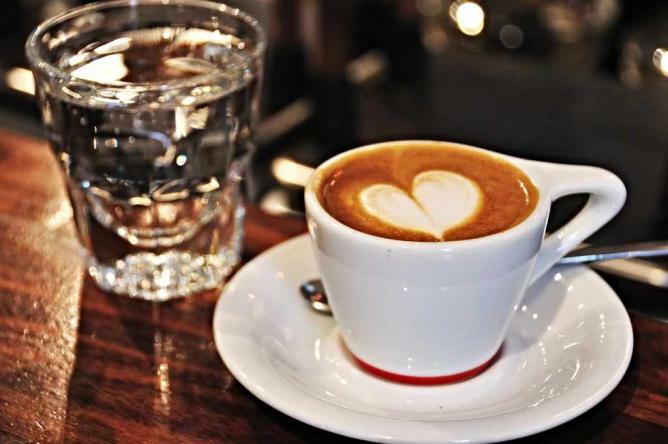 The developing India demands good cafes that can serve coffee in the fast cosmopolitan life. Cafe Mocha has server the expectations of the people well in that regard. With this popularity there is a lot of scope for the expansion of this franchise in India. You won’t have to worry about the marketing as Cafe Mocha is quite popular among the Indian crowd. With the success of this cafe you can be convinced that the business is quite profitable and you can make good returns out of it. The culture of Cafe Mocha is quite different which is why people admire it. It doesn’t give an office like feel unlike other cafes with their cubicles. Each and every unit can present with different flavours making Cafe Mocha a customizable coffee shop. You can relish in the information that the investments of Cafe Mocha are relatively low and affordable. Following is all the necessary information you would want to know about the franchise. Cafe Mocha has not openly mentioned its investment, area, capital, profit & return and requirement but a rough estimate can be made. The expected investment cost for this coffee shop is around 50 lakhs to 1 crores which will vary according to the location that you have chosen for opening the cafe. This is a rough estimate. You can only get a correct figure by communicating with the company executives. You can easily apply for a Cafe Mocha franchise and the application process is quite simple. All you have to do is open the official website of Cafe Mocha and download the application form which is available on the franchise. Save this form in a word document format. Fill in all the details that are asked in the application and make sure that there are no errors. Save the filled in application form and attach it to an email then send it back to the executives. Someone will definitely get in touch with you regarding your email. It is totally up to them to accept or reject your application under the IEHPL rights. For more details you can get in touch with the corporate office of Mocha and ask your queries.